Leaves are beginning to fall, which means only one thing…Autumn is on its way! Autumn is the season of colour and it’s by far my favourite season. Who doesn’t love scrunching through leaves, the crisp air and the blanket of beautiful colour that sweeps the sky line. 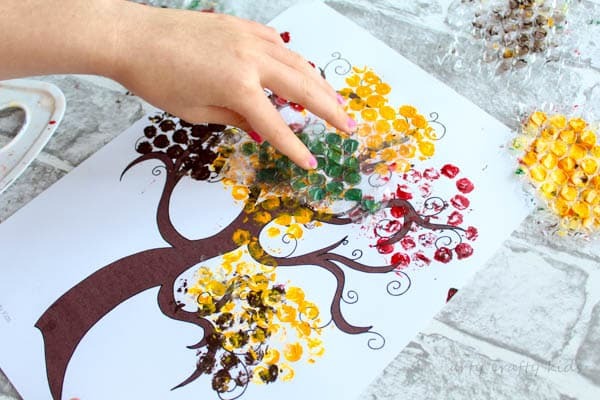 Today’s Bubble Wrap Autumn Tree Craft has been created with young children and preschoolers in mind. 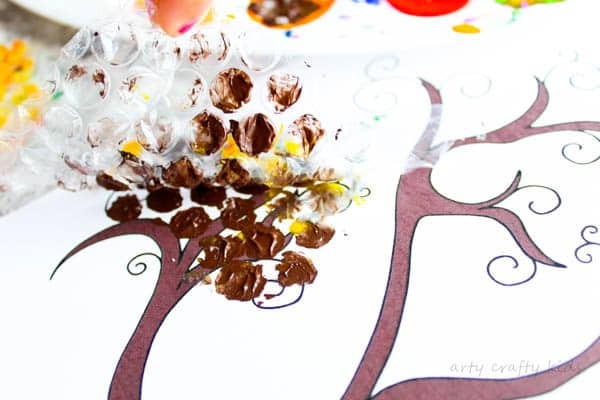 The bubble wrap adds a tactile textured element to craft and the handy printable allows children to dive straight in – perfect for short attention spans! Step 1. 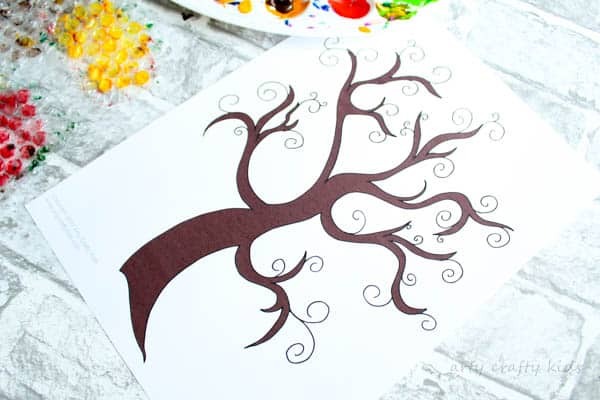 Print the free Tree Template (complete the sign-up form to be referred) onto a piece of white card stock. 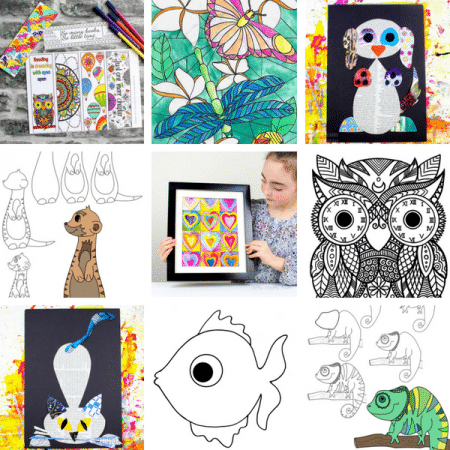 I prefer to use card stock for kids art projects for one simple reason – it’s durable and doesn’t turn into a soggy mess when the kids (inevitably) use an excess of paint! Step 2. Mix the Autumn colours using the primary colours. 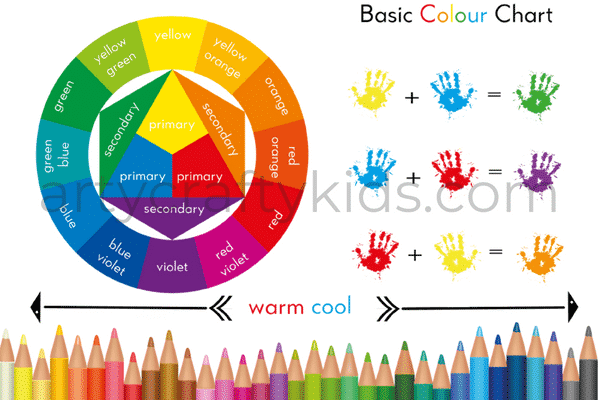 This is a great way for children to explore colour shades beyond the secondary colours. 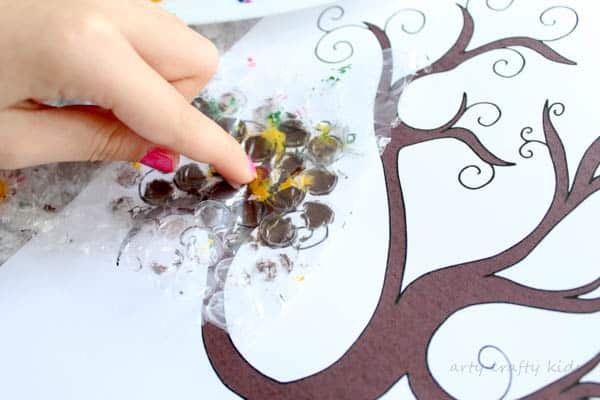 Apply the paint directly to the bubbles – this will create clear and crisp circular prints! 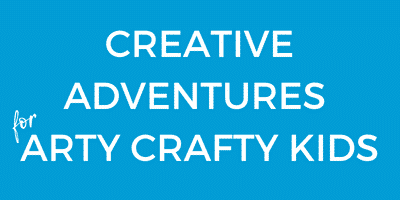 Once your Arty Crafty Kids have successfully created Orange, how many shades of orange, red and yellow can they make? Step 3. Turn the bubble wrap over and press down firmly. Step 4. Gently peel the bubble wrap away from the paper to reveal the prints. Each piece of bubble wrap can be reused 2 or 3 times before the need for additional paint. Step 5. Continue the process using a variety of colours and layers. For ease, we gave each colour its own piece of bubble wrap. 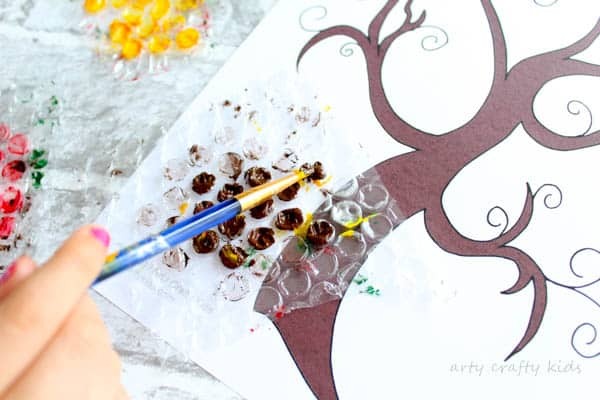 Your Bubble Wrap Autumn Tree Craft is now complete! I hope you enjoy our Autumn Tree Craft. If you do not have any bubble wrap to hand, fingerprints are a great alternative! 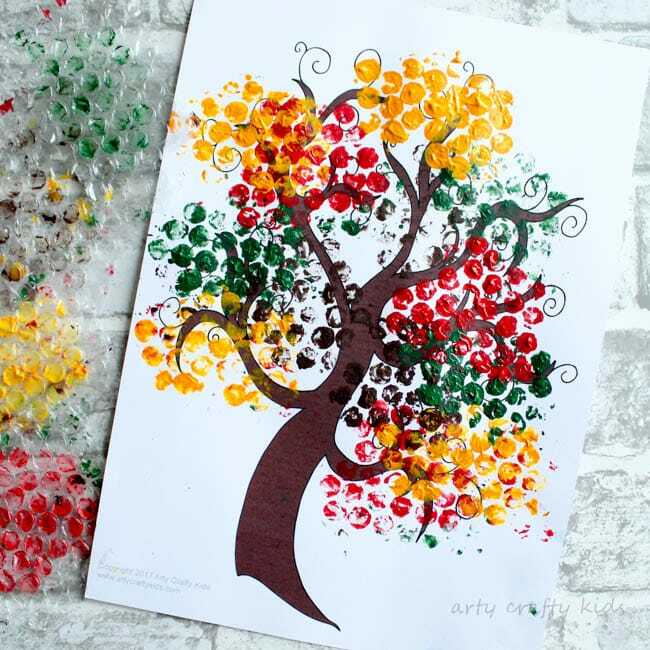 For more Autumn Craft inspiration, take a look at our popular Autumn Handprint Tree, Watercolour Autumn Tree and super fun Splatter Tree!